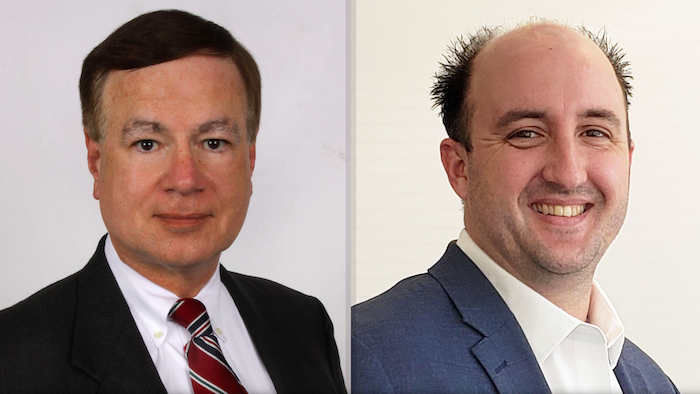 The 1901 Group has appointed Bob Beck as its senior director of business development for the defense market, and Zack Orchant as its director of business development for the homeland security market. Beck and Orchant both have years of experience in government business development. They will help 1901 group grow its cloud, managed services and cybersecurity services by establishing lasting relationship with customers and partners, according to the company. 1901 Group Executive Vice President of Business Development Paul Wilkinson said the company is excited to have Beck and Orchant, and their proven track records of long-term business relationships. “They have demonstrated their notable experience and we look forward to the new opportunities and growth each will bring to our company’s portfolio and our contracts within the DoD and DHS markets,” Wilkinson said. Beck spent more than 30 years working with the public sector market in business development and strategy implementation, as well as financial management. Prior to 1901 Group, Beck was vice president and general manager for IPsoft Government Solutions offering artificial intelligence and cognitive computing solutions assisting veterans. Beck also served as the Defense Department account executive with CRSA (now General Dynamics Information Technology), and held vice president of business development positions with L-3 Integrated Systems (now CACI International, Inc). He’s excited to bring 1901 Group services and technologies to help Defense Department customers meet their requirements. Orchant has more than 10 years of leadership experience developing strategic direction and pursuing opportunities with the Homeland Security Department, Justice Department, federal financials and federal health care organizations. He served as business development executive with United Data Technologies, where he led the onboarding of the General Services Administration’s Governmentwide Strategic Solutions program. During his time at CDWG, Orchant also led the pursuits for the DHS Enterprise Computing Service Program and DOJ’s Information Technology Support Services Program. And prior, he oversaw contract wins for the U.S. Army at MicroTech, and held business development roles with Telos Corporation and Symantec. Orchant said hybrid, public and private cloud solutions were at the “forefront” of talks with the customers he supported. “The services, solutions, and innovation that 1901 Group brings to bear in the market place, only further enhances the achievement and outcomes of the mission’s objectives our customers are faced with every day,” he said.